HILL CITY, S.D. 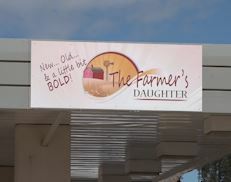 — Tourist season is just around the corner for the Black Hills and there are two new shops now open in Hill City. First, there’s Cream which is a new coffee and ice cream shop. One of the owners, Brooke Romeo, used to live in Seattle where she trained and managed coffee houses. 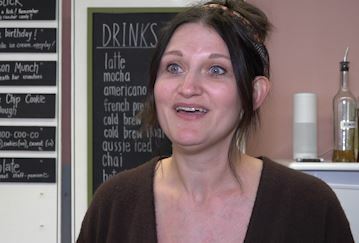 Her parents live in Hill City and they felt like having a coffee and ice cream shop would be a great addition to the area. “Everything here is handmade. So we hand make all of our ice cream, our flavors, our syrups for the coffee. Our beans are locally sourced from Essence of Coffee in Rapid City. So we just wanted to bring a community feel to everything,” said Romeo. If you’re looking for something a little sweeter than what Cream has to offer, head right next door to The Farmer’s Daughter and check out their new Cotton Candy Shoppe. If you go to the back of the store, you can find a cute little stand with 42 different flavors of cotton candy to choose from that are made right to order. With an endless combination of flavors, there’s definitely something for everyone here. 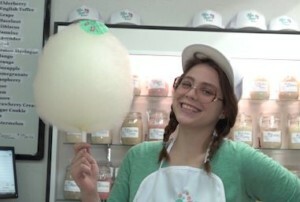 “Well I’m happy to see both adults and kids enjoying it because I think sugar is a wonderful experience for people of all ages,” said Nan Baron, the Lead Spin Master at the Cotton Candy Shoppe. This is something new to our area that clearly everyone, especially locals can get in on before the busy summer season sets in. 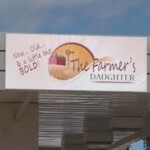 Lorena Freis and her husband own The Farmer’s Daughter. After visiting their daughter and exploring a cotton candy shop in her town, they decided this was something they had to bring back to Hill City. “The first tourism season, if we can put cotton candy in hands and see it walking up and down main street, we’ll be totally happy. Just come in and visit us, have some fun. 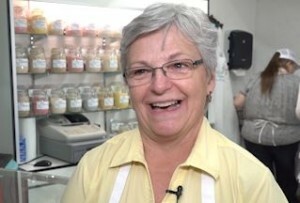 It’s all about the experience, picking the flavor, watching it be spun and just enjoying the taste,” said Freis. Both Cream and the Cotton Candy Shoppe are located right across from the Alpine Inn in downtown Hill City.